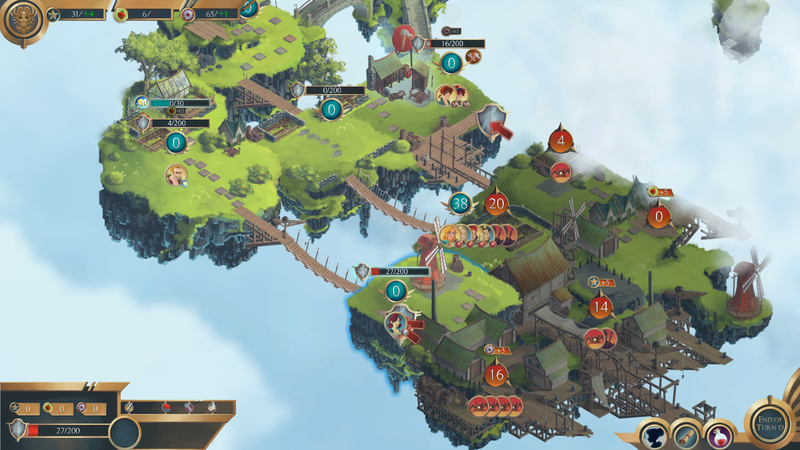 Highlands is a turn based strategy game with beautiful hand drawn art that has been released for PC on Steam by Burrito Studio. The release is the result of a successful Kickstarter campaign and was subsequently greenlit on Steam. It is a single-player game and is currently one sale for $12.74, 15% off the regular price of $14.99. The first thing that strikes you about Highlands is the stunning hand drawn art. The game plays like a euro-style worker placement/resource gathering board game with risk-like combat and area control mechanics. Highlands features a single player story driven campaign delivered in jrpg style dialog windows. As you progress through this campaign your characters level up, new characters are recruited and new areas are exposed as you traverse the map and clear the clouds that serve as the "fog of war". For more information about the game and how it looks in action, see the videos linked below.